This painting was completed in 3 sessions. The first 2 lasting about 1 hour each and the final about half an hour. In the video I have indicated where the sessions stopped to allow the paint to dry. The colours were, Burnt Sienna, Burnt Umber, Raw Sienna, Cadmium Yellow, Chrome Green Light, Cobalt Blue and B&W. The media: Liquin and ‘Stand Linseed Oil’. This is different Linseed Oil from the ‘standard’ oil. It is thicker in consistency and almost jelly-like in the paint mixes. My next painting is of a scene I visited and sketched in 1975. The sketch was a ‘scraperboard’ and hopefully I will be able to dig out a copy of this and include it in the post. The scene includes the remains of a fantastic house which had survived from the mid 1700’s and because the lead on the roof was removed during WW2 (1939-1945, the price of lead ‘sky-rocketed’) the house began to crumble. In 1975 it was still an impressive ruin, but sadly it is now only a heap of rubble. The house was Kilmoroney House, near Athy, County Kildare. 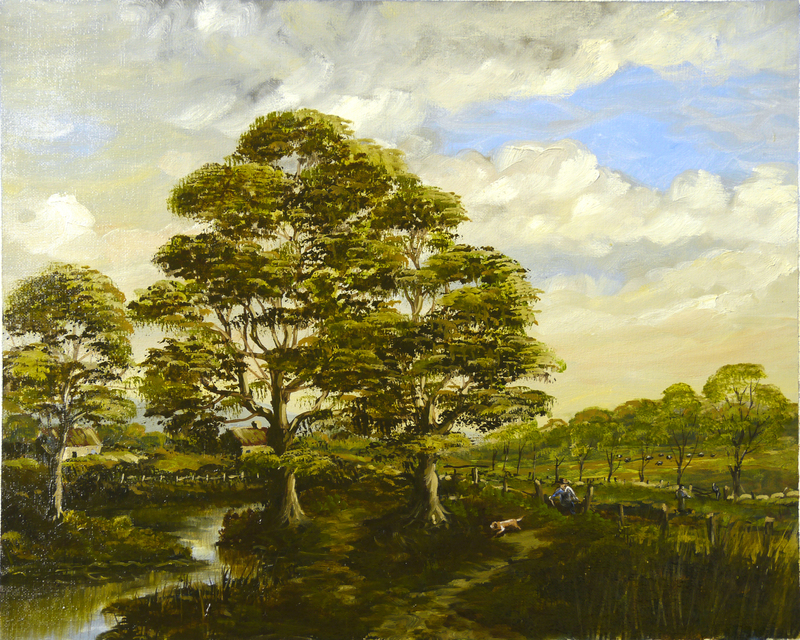 This entry was posted in Oil Painting and tagged Art, Irish landscape, Oil Painting Instruction, Time lapse painting. Bookmark the permalink. ← Why use ‘Stand Linseed Oil’?